Aim : In this paper, the temperature and stress distributions in an exact 3D-model of a restored maxillary second premolar tooth are obtained with finite element approach. Objective : The carious teeth need to restore with appropriate restorative materials. There are too many restorative materials which can be used instead of tooth structures; since tooth structures are being replaced, the restorative materials should be similar to original structure as could as possible . Materials and Methods : In the present study, a Mesial Occlusal Distal (MOD) type of restoration is chosen and applied to a sound tooth model. Four cases of restoration are investigated: two cases in which base are used under restorative materials and two cases in which base is deleted. The restorative materials are amalgam and composite and glass-inomer is used as a base material. Modeling is done in the solid works ambient by means of an exact measuring of a typical human tooth dimensions. Tooth behavior under thermal load due to consuming hot liquids is analyzed by means of a three dimensional finite element method using ANSYS software. The highest values of tensile and compressive stresses are compared with tensile and compressive strength of the tooth and restorative materials and the value of shear stress on the tooth and restoration junctions is compared with the bond strength. Also, sound tooth under the same thermal load is analyzed and the results are compared with those obtained for restored models. Results : Temperature and stress distributions in the tooth are calculated for each case, with a special consideration in the vicinity of pulp and restoration region. Numerical results show that in two cases with amalgam, using the base material (Glass-ionomer) under the restorative material causes to decrease the maximum temperature in the restorative teeth . In the stress analysis, it is seen that the principal stress has its maximum values in composite restorations. Conclusion : The maximum temperatures are found in the restoration case of amalgam without base. Besides, it is found that restoration has not any influence on the stress values at DEJ, such that for all cases, these values are close to sound tooth results. Aim : The aim of the present study was to investigate the level of salivary sialic acids and glycosaminoglycans with reference to salivary hormones during the normal menstrual cycle. Settings and Design: Fifty women volunteers were selected for the present study. 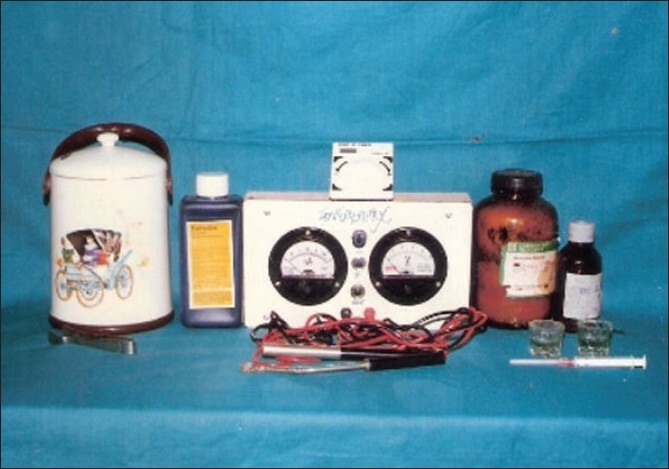 Materials and Methods : Saliva was collected from 50 women and ovulation was detected in women with normal menstrual cycles through basal body temperature (BBT), ultrasound and salivary ferning. Samples were divided into five categories, as prepubertal (6-9 years), pre-ovulatory phase (6-12 days), ovulatory phase (13-14 days), postovulatory phase (15-26 days) and menopause (above 45 years). Each sample was subjected to evaluation of the sialic acids and glycosaminoglycans along with salivary hormones. 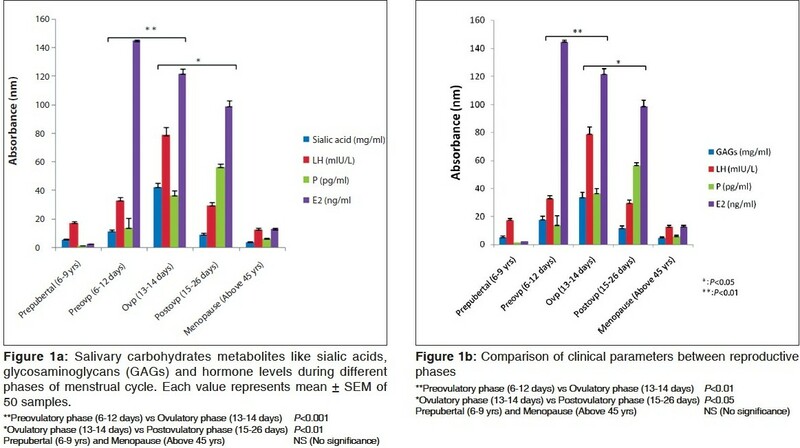 Results : The result revealed that the ovulatory phase has increased sialic acid and glycosaminoglycans during the menstrual cycle when compared with that of the other phases. Consequently, an increased level of hormones such as luteinizing hormone and estrogen during the ovulatory period when compared to that of the pre-ovulatory and postovulatory periods appeared to be noteworthy. Statistically, analysis was performed using one way-ANOVA (LSD; post hoc method) to determine the significance as P < 0.001, 0.01, 0.05 in between the reproductive phases of the menstrual cycle. Conclusion : This study concluded that saliva-specific carbohydrates in the ovulatory saliva make the possibility to develop a biomarker for detection of ovulation by non-invasive methods. Aim: The aim of the study is to determine the root canal morphology of the mandibular first premolar teeth in an Indian population using spiral computed tomography (SCT). 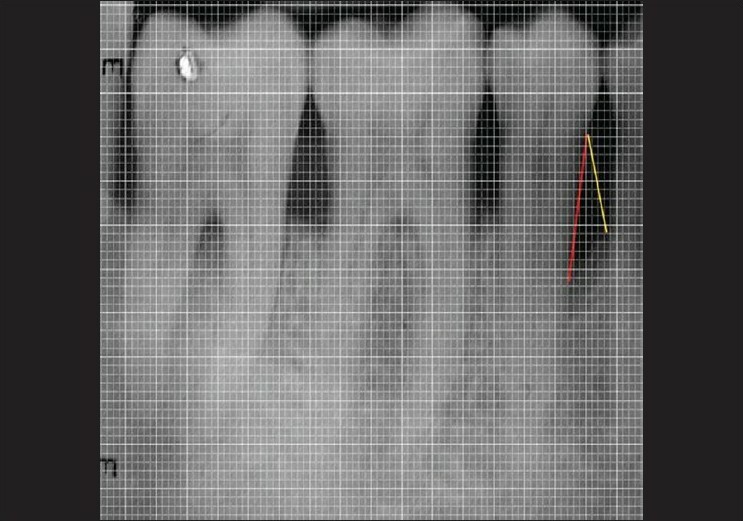 Materials and Methods: One hundred extracted mandibular first premolars were observed using Spiral Computed Tomography for the (i) Pattern of root canal (ii) Tooth length (iii) Position of the bifurcation of the canal (iv) Invagination of the root (v) Root thickness. The root canal morphology was classified based on Vertucci's classification. Results: Eighty percent of the teeth had a single canal, 11% of the teeth had two canals, and C-shaped canals were found in 2% of the teeth, in this study. The average length of the teeth was 21.6 mm. Fourteen percent of the teeth had mesial invagination of the root. Conclusion: The Type I root canal morphology was the most common type of root canal system in the mandibular first premolars among the Indian population in this study. Aim and Objective : The aim of this study is to evaluate the positional changes that occur in mucogingival line following the use of subepithelial connective tissue graft (SCTG). 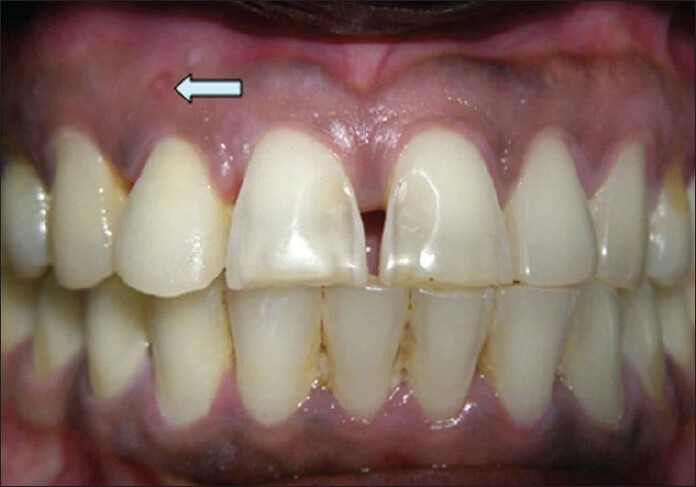 Materials and Methods : In 19 Miller class I or II gingival recession defects, distance between mucogingival line (MGL) and cemento-enamel junction, also width of keratinized and attached gingiva, and clinical attachment level were measured. SCTG were used for covering the exposed roots. A fore mentioned parameters were repeated at 3, 6 and 12 months after surgery and alterations were measured. Paired t test was used to analyze the results. Results : MGL had been moved in coronal direction (4.39 ± 0.77 mm on average) during surgical approach. After 1 year, MGL shifted 2.11 ± 0.7 mm apically. In accordance with this apical shift, a significant increase in the width of keratinized and attached gingival width (2.89 ± 0.63 mm and 2.82 ± 0.5 mm, respectively) was seen (P < 0.05). Conclusion : MGL tended to revert back to its original position following the use of SCTG, and this reversion is accompanied with an increase in the keratinized and attached gingival width. Background and Objectives : Bone grafting is the most common form of regenerative therapy. Several bone substitutes have been used in clinical periodontal therapy to encourage bone formation. The present study has been undertaken to evaluate the efficacy of hard tissue replacement polymer (Bioplant® HTR® ) as a bone graft material in the treatment of interproximal vertical bony defects in human beings, both clinically and radiologically. Materials and Methods : Five chronic periodontitis patients were selected with 16 sites assigned randomly into control (open debridement alone) and experimental (open flap debridement plus Bioplant® HTR® ) groups. Clinical measurements like plaque index (PI), gingival index (GI), probing pocket depth (PPD), clinical attachment level (CAL), gingival margin position (GMP) assessment was done at 0, 3 and 6 months and radiographic assessment at 0 and 6 month. Statistical analysis was performed using Wilcoxon's signed Rank test and Mann-whitney U-test. Results : There were statistically no significant (P=1.00) changes in Plaque index and Gingival Index scores in both the groups from baseline to six months post surgery. Statistically significant (P<0.05) reduction in Probing Pocket Depth was seen on comparison between the groups. In relation to the hard tissue changes, significant results were seen with respect to change in alveolar crest and percentage of original defect resolved. Comparison of results from six to 12 months following similar treatments showed no significant differences or advantages to having a clinical evaluation period longer than 6 months post surgically (Yukna 1999). Interpretation and Conclusion : Bioplant® HTR® material is a biocompatible, easy to handle and a beneficial grafting material for the treatment of periodontal osseous defects. Background : Human telomerase is a multi subunit ribonucleoprotein enzyme concerned with telomeric lengthening and homeostasis in man. This enzyme has been found to be elevated in inflammatory conditions like rheumatoid arthritis and silica injury lung. Since chronic periodontitis is also an inflammatory condition where immune cells and cytokines mediate tissue destruction, we set out to evaluate telomerase in gingival tissue samples from healthy subjects and chronic periodontitis patients by reverse transcriptase polymerase chain reaction. Materials and Methods : Gingival biopsies were obtained from eight healthy subjects and eight chronic periodontitis patients. 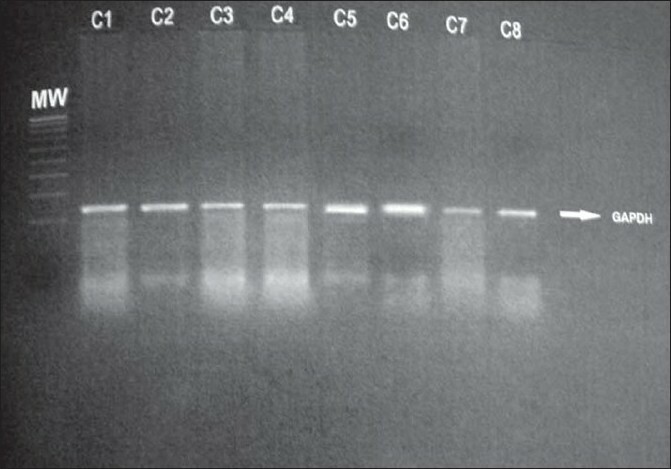 Reverse transcriptase polymerase chain reaction (RTPCR) was carried out to evaluate telomerase gene expression in the samples. Results : None of the healthy gingival tissue samples expressed the telomerase gene while all the chronic periodontitis samples expressed it. The severe chronic periodontitis samples expressed the gene more intensely than the moderate chronic periodontitis samples. Conclusion : Various mechanisms have been explained to account for telomerase elevation in chronic periodontitis .This study helps us understand the role of telomerase in the pathogenesis of periodontal disease. It could be concluded that telomerase could be used as a marker to assess the severity of inflammation in chronic periodontitis. Aim : The aim of this study was to determine the value of dynamic high-resolution ultrasonography (HR-US) in the evaluation of internal derangements of a temporomandibular joint (TMJ) in the open and closed mouth position. Settings and Design : The study designed to collect the sample from the Outpatient Department of Oral Medicine and Radiology at GDC, Bangalore. Patients with pain, clicking, deviation, and tenderness were included in the study as a symptomatic group. The asymptomatic group was free of any symptoms. 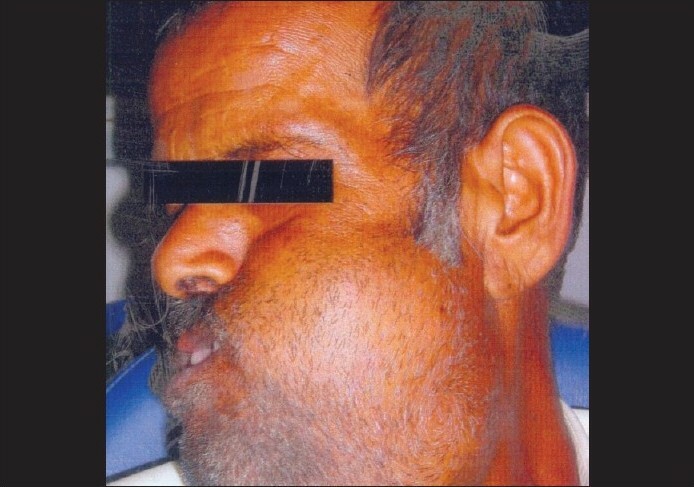 Materials and Methods : Maximum mandibular range of motion (Open and Closed) was performed during HR-US of TMJ in 100 consecutive patients, (50 symptomatic and 50 asymptomatic cases, a total of 400 joints, with 200 joints in the right and left closed and open mouth position;36 males and 64 females; age range, 16 - 50 years; mean age 27.56 years). Subsequently, the entire group, after clinical diagnosis, went for HR-US. Sonography confirmed the diagnosis by showing internal derangement in 34 (68%) of the symptomatic group and the remaining 16 (32%) patients failed to show any derangement. In the asymptomatic group 40 patients did not show any pathology associated with TMJ, whereas, 10 patients showed internal derangement. The data obtained was analyzed statistically. 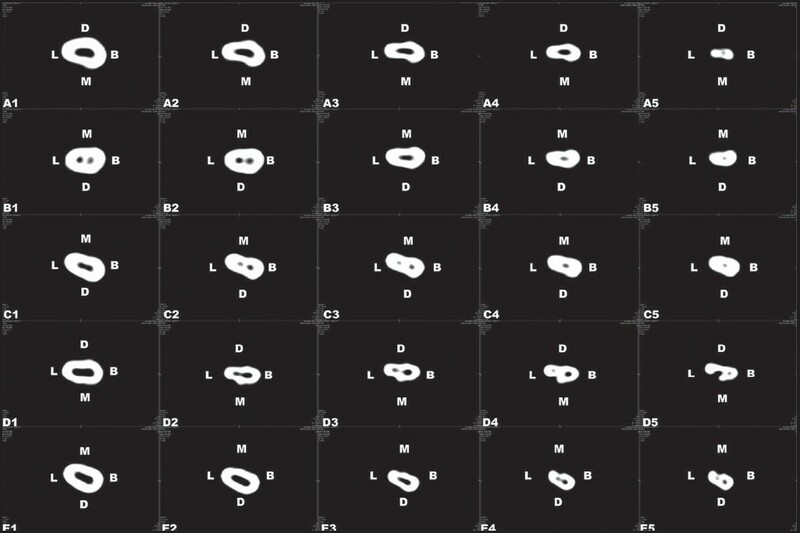 Results : HR-US performed during the maximal range of motion (Open and Closed) helped to detect 34 instances (68 joints) of internal derangement, which were true positive cases, whereas, 16 patients (32 joints) showed a false positive finding for internal derangement (ID). The results obtained showed a sensitivity of 64%, specificity of 88%, positive predictive value of 84%, and a negative predictive value of 71%, with an accuracy of 76%. Conclusions : Dynamic HR-US being non-invasive can provide valuable information about internal derangement of the TMJ in mandibular closed mouth than open mouth position. Aims and objectives : The present study was carried out to assess the oral hygiene practices and habits among practicing general dentists. Materials and Methods : The study was carried out in four dental schools with the help of a self administered questionnaire. The questionnaire covered dentists' oral self care, smoking habits, professional reading and oral health concepts. 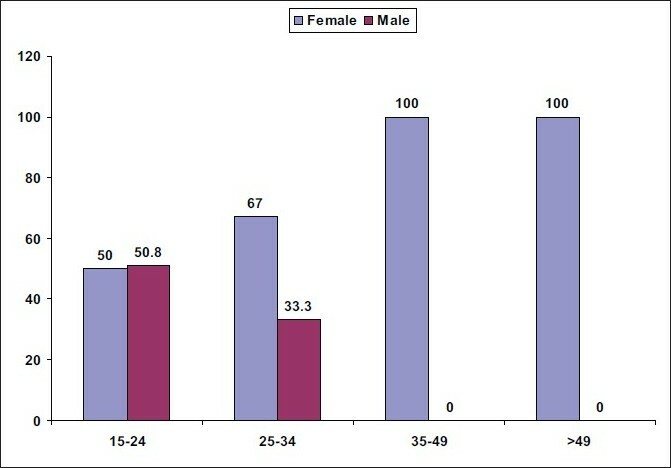 A total of 700 dentists responded, of which 457 were males. Recommended oral self care (ROSC) included tooth brushing one per day, eating sugary snacks daily or rarely and regularly using fluoride tooth paste. Results : The data obtained was then subjected to statistical analyses and evaluated using chi-square tests and logistic regressions.It was found that 55.9% of all respondents brushed twice a day, 59.4% consumed sugar containing snacks less than once daily and 55.1% of them used fluoride containing paste regularly while brushing. 81.1% of the 700 dentists never used tobacco products. In all, 19.6% 0f the practicing general dentists followed recommended oral self care. Conclusion : From the present study, it can be concluded that only 19.6% of south Indian dentists follow recommended oral self care and hence awareness programs and continuous dental education programs among dentists is essential to improve the present scenario and to increase the number of dental professionals following ROSC. Background and Objectives : There are numerous post and core systems variety of materials. Several methods are used to increase the retentive strength.The present study was conducted with the purpose of analysis of the effect of surface treatment with ethyl alcohol, resin primer and air-borne alumina particle abrasion on retention of glass fiber posts, carbon fiber posts and cast metal posts Materials and Methods : Surface treatment of glass fiber posts, carbon fiber posts and cast metal posts was done with ethyl alcohol, resin primer and air-borne alumina particle abrasion and cemented with dual cure resin cement into the post spaces prepared in the teeth. 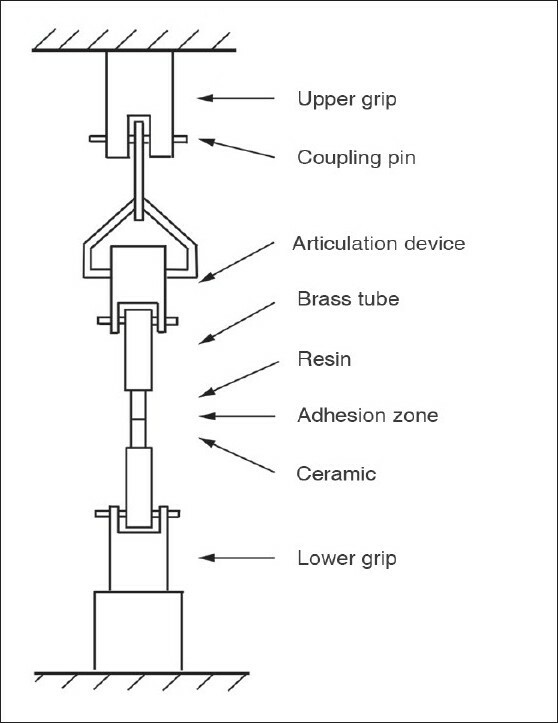 For the Retentive force test, a screw driven universal testing machine was used to apply tensile load to the post. The force required to dislodge each post from prepared post space was recorded. Statistical Analysis : Comparison of the mean retentive strength was done using two-way Analysis of Variance (ANOVA) followed by Bonferroni method for multiple comparisons. Results : Significant difference in the retentive strength between air borne alumina particle abrasion and resin primer treated posts was (P < 0.001) noticed. 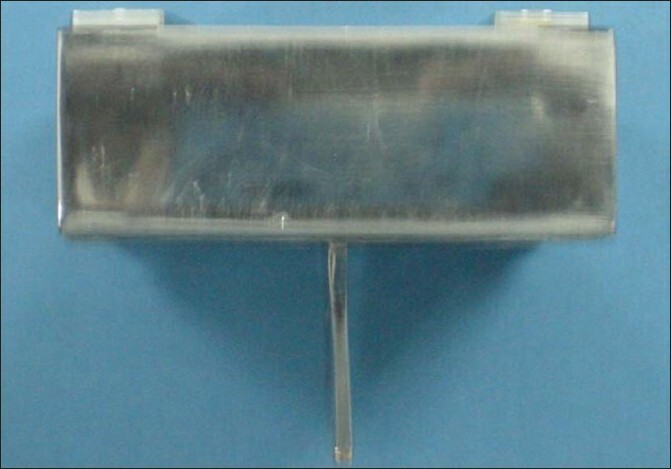 Further, there was no significant difference between ethyl alcohol and resin primer treated posts Conclusion : Air-borne alumina particle abrasion increased the retentive strength of all the type of posts used in this study. Treating the surface of the posts with resin-primer and ethyl alcohol produced no statistically significant difference in the retentive strength. Background : Dentinal hypersensitivity is a commonly occurring but less understood and poorly managed problem of the teeth. Iontophoresis is a technique wherein desensitizing agents can be transferred under electrical pressure into the tooth structure to manage hypersensitivity. Aim : The purpose of present study is to compare the effect of different strengths of electrical current used for varying lengths of time, keeping the electrical dosage constant with the iontophoretic unit in the management of dentinal hypersensitivity. Materials and Methods : This study was conducted among the patients attending the Periodontal Department of the Government Dental College and Hospital, Patiala, Punjab, specifically complaining of tooth hypersensitivity. The Verbal Rating Scale (VRS) was used to record scores pre-, during, and post-treatment. 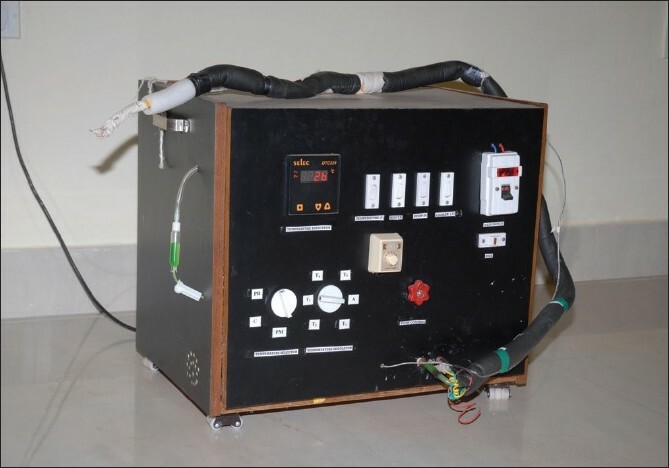 Ten percent SrCl2 solution was applied with an iontophoretic unit. Three applications were performed at weekly intervals, up to the second week, using the same electric current dosage. The data compiled was statistically analyzed. Results : A remarkable reduction in dentinal hypersensitivity to both air blast and cold water stimuli was noted at the end of two months after iontophoresis with each current group / method, namely, I (0.25 mA for 4 minutes), II (0.5 mA for 2 minutes), and III (1 mA for 1 minute). However, the differences in effectiveness / improvement within the three current groups during the entire duration of the study were found to be statistically insignificant. Conclusion : Within the limits of this study, it could be implied that for relieving hypersensitivity, iontophoresis for all three current groups was almost equally effective, and it was found that repeated applications (up to three) gave good relief. Iontophoresis was found to be effective and safe. Background: The precise role of dentifrice in plaque removal has been debatable. While a considerable volume of literature attributes several beneficial properties and glorifies the role of dentifrice, a small body of researchers questions its efficacy. Lingering doubts are emerging about the plaque removal efficacy of toothpastes and probably a time has come to reassess its role in plaque removal. Aim: The present study is used to evaluate the plaque removal efficacy of dentifrice alone during the manual brushing of teeth. Materials and Methods: In a double blinded 2 Χ 2 crossover study design, 42 subjects had brushed randomly with or without dentifrice under supervision, with a standard dentifrice and toothbrush, after 48 hours of plaque accumulation, for two minutes. Results: Plaque reduction with dentifrice was 57.35% and without dentifrice was 66.19%. This 9% difference was statistically significant ( P ≤ 0.001). Conclusion: Dentifrice use does not enhance plaque removal when used in conjunction with a toothbrush, and instead, may marginally lessen the brushing effect. The role of a toothbrush appears to be more crucial in the maintenance of oral hygiene. Background and Objectives: In vivo stains are prompt resources, which have emerged, in the recent years, to aid as clinical diagnostic tools in detecting early premalignant and malignant lesions. The aim of the study was to determine the diagnostic efficiency of toluidine blue with Lugol's iodine in oral premalignancies and malignancies and to evaluate the reliability of in vivo staining with toluidine blue and Lugol's iodine in the lesions at risk of malignancy. Materials and Methods: The study group comprised 30 subjects with clinically suspicious premalignant lesions and 30 subjects with clinically suspicious malignant lesions. All the lesions were stained consecutively with toluidine blue and Lugol's iodine and the dye retention were recorded with photographs. Depending on the retention of the dyes, the biopsy site was determined. The biopsy specimens were sent for histological confirmation and results were statistically analyzed. Results: The overall diagnostic accuracy of Lugol's iodine when used consecutively with toluidine blue stain in distinguishing premalignant lesions and malignant lesions was 90%. As the degree of differentiation of malignant lesions progressed toward more severity, they failed to show the retention of Lugol's iodine and the result was highly significant statistically, with a P value < 0.001. Interpretation and Conclusion: Lugol's iodine when used with toluidine blue helped in delineating the inflammatory lesions and was the mean source in determining clinically the degrees of differentiation of malignant lesions as the poorly differentiated malignant lesions without glycogen content failed to show Lugol's iodine retention. Toluidine blue with Lugol's iodine can be used as a pretherapeutic assessment of the biologic aggressiveness of the disease. Objective: A parallel design clinical study evaluated reduction in hypersensitivity after brushing for 12 weeks with Anchor toothpaste (containing potassium citrate, zinc citrate, triclosan and sodium monofluorophosphate) (test) and Colgate Total (sodium fluoride, silica, triclosan and copolymer) (control) dentifrices. Materials and Methods: Sixty adults with sensitivity to hot and cold stimulus in at least two tooth surfaces were stratified at the baseline examination by tactile, hot and cold stimuli scores in two balanced groups. Subjects were randomly allocated the test and control dentifrices and evaluated after 6 and 12 weeks of dentifrice use for hypersensitivity. Results: The two teeth that were selected in each patient were designated as two different sets. The 12 th -week scores as compared to baseline scores for tactile, heat and cold tests in the test group showed a reduction in tooth hypersensitivity by 36.67% (P < 0.01), 20.35% (P < 0.01) and 53.64 % (P < 0.01), respectively, in the first set of teeth and 43.75% (P < 0.01), 24.48% (P < 0.01) and 59.78% (P < 0.01), respectively, in the second set of teeth. The 12 th -week scores as compared to baseline scores for tactile, heat and cold tests in the control group showed a reduction in tooth hypersensitivity by 42.86% (P < 0.01), 13.02% (P < 0.01) and 45.14% (P < 0.01), respectively, in the first set of teeth and 40% (P < 0.01), 16.59% (P < 0.01) and 44.16% (P < 0.01), respectively, in the second set of teeth. Conclusions: Both the products reduced dentinal hypersensitivity in the study subjects at the end of the 12-week period. However, there was no statistically significant difference in reduction in hypersensitivity between the two products. Aims and Objectives: Early Childhood Caries (ECC) is a multi-factorial disease and has numerous biological, psychological, and behavioral risk factors. In this study, we have attempted to study psychological stress as a risk factor for early childhood caries by investigating and comparing the response of event-related stress on salivary cortisol level in children with ECC and those without ECC and also compared the adaptability to various dental procedures in children with early childhood caries and without early childhood caries. Materials and Methods: One hundred children aged between four and five years were examined in the school and 16 pairs of children with caries and without caries were selected after cross-matching them on various risk factors for Early Childhood Caries. Oral prophylaxis and topical fluoride treatment procedures were used as stressors and salivary samples were collected at the time of arrival for the treatment, after Oral Prophylaxis and Fluoride treatment. The salivary samples were analyzed by radioimmunoassay for an unbound plasma cortisol level. Results: Statistical analysis was performed using a paired t-test, on the collected data, to compare the mean values of the salivary cortisol across the group and within the groups to evaluate the cortisol response to stress. No significant differences were found between the salivary cortisol levels prior to treatment, post oral prophylaxis, or post fluoride treatment at the first and second appointments of both groups. At the first appointment, the fluoride treatment caused a significant increase in the salivary cortisol level over the pretreatment level, in both the groups, but it was not evident in either of the two groups studied at the second appointment. Conclusion: We have concluded that the stress produced by different dental procedures was similar in children from the two groups studied, and the coping ability of the children was also similar in both the groups. Small sample size may be one of the reasons why no significant differences were found between the groups. Similar study needs to be repeated with a larger sample size. Aim: To assess the influence of silane evaporation procedures on bond strength between a dental ceramic and a chemically activated resin cement. Materials and Methods: Eighteen blocks (6 mm Χ 14 mm Χ 14 mm) of ceramic IPS Empress 2 were cemented (C and B) to composite resin (InTen-S) blocks using a chemical adhesive system (Lok). Six groups were analyzed, each with three blocks divided according to ceramic surface treatment: two control groups (no treatment, NT; 10% hydrofluoric acid plus silane Monobond-S dried at room temperature, HFS); the other four groups comprised different evaporation patterns (silane rinsed and dried at room temperature, SRT; silane rinsed in boiling water and dried as before, SBRT; silane rinsed with boiling water and heat dried at 50°C, SBH; silane dried at 50 ± 5°C, rinsed in boiling water and dried at room temperature, SHBRT). The cemented blocks were sectioned to obtain specimens for microtensile test 7 days after cementation and were stored in water for 30 days prior to testing. Fracture patterns were analyzed by optical and scanning electron microscopy. Statistics and Results: All blocks of NT debonded during sectioning. One way ANOVA tests showed higher bond strengths for HFS than for the other groups. SBRT and SBH were statistically similar, with higher bond strengths than SRT and SHBRT. Failures were 100% adhesive in SRT and SHBRT. Cohesive failures within the "adhesive zone" were detected in HFS (30%), SBRT (24%) and SBH (40%). Conclusion: Silane treatment enhanced bond strength in all conditions evaluated, showing best results with HF etching. Objective: To determine the oral health status and treatment needs of subjects aged 60 years and above. Background: The average life span in most parts of the world continues to increase. In the coming decades, dental practitioners will face the challenge of providing dental care for a growing number of elders who retain more natural teeth. Materials and Methods: The study was conducted in 10 elders' homes of Ambala division on subjects 60 years or older. Modified WHO format (1997) was used. All the subjects present in the elders' home on the day of examination were included. One hundred and fifty-two subjects were examined. Results: Around half (47.4 %) of the subjects had no functional teeth. Among the rest of the subjects, 26.9% subjects did not use any oral hygiene measure. 19.1% subjects reported wearing a denture. 36.8% subjects had not visited a dentist ever in their life. 28.7% subjects were suffering from pain. The mean number of decayed teeth per subject was 3.66. Maximum subjects had a Community Periodontal Index score of 2. Conclusion: Education regarding maintenance of oral hygiene and regular dental check up should be stressed for the elders. Dental care, especially prosthetic care, should be focused upon. Background: Atherosclerosis develops as a response of the vessel wall to injury. Chronic bacterial infections have been associated with an increased risk for atherosclerosis and coronary artery disease. The ability of oral pathogens to colonize in coronary atheromatous plaque is well known. Aim: The aim of this study was to detect the presence of Treponema denticola, Porphyromonas gingivalis and Campylobacter rectus in the subgingival and atherosclerotic plaques of patients with coronary artery disease. Materials and Methods: Fifty-one patients in the age group of 40-80 years with coronary artery disease were selected for the study. DNA was extracted from the plaque samples. 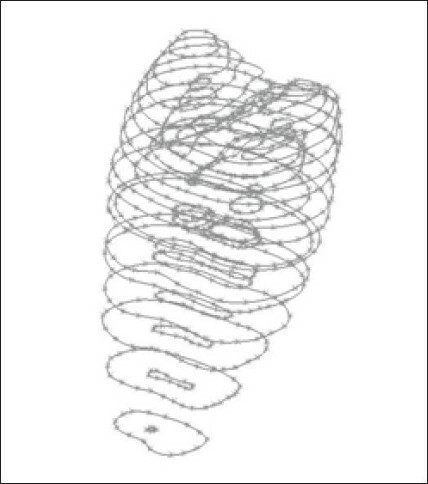 The specific primers for T. denticola, C. rectus and P. gingivalis were used to amplify a part of the 16S rRNA gene by polymerase chain reaction. Statistical Analysis Used: Chi-square analysis, correlation coefficient and prevalence percentage of the microorganisms were carried out for the analysis. Results: Of the 51 patients, T. denticola, C. rectus and P. gingivalis were detected in 49.01%, 21.51% and 45.10% of the atherosclerotic plaque samples. Conclusions: Our study revealed the presence of bacterial DNA of the oral pathogenic microorganisms in coronary atherosclerotic plaques. The presence of the bacterial DNA in the coronary atherosclerotic plaques in significant proportion may suggest the possible relationship between periodontal bacterial infection and genesis of coronary atherosclerosis. Background: Children with poor oral health are 12 times more likely to have restricted-activity days. Dental health education [DHE], with the objective of improving the oral hygiene of the participants, would have obvious merits. Objectives: To determine the effectiveness of school DHE, conducted at repeated and differing intervals, in improving oral health knowledge, practices, oral hygiene status, and the gingival health of schoolchildren belonging to two socioeconomic classes. Materials and Methods: This 36-week duration study assessed the effectiveness of school DHE conducted every three weeks against every six weeks on oral health knowledge, practices, oral hygiene status and gingival health of 415, 12- to 13-year-old schoolchildren belonging to social classes I and V. Of the three selected schools of each social class, one each was subjected to the intervention of either three or six weeks or was a control, respectively. Oral health knowledge and practices were evaluated using a questionnaire. Oral hygiene and gingival health were assessed using plaque and gingival indices. Statistical Analysis Used: Friedman's test was used for the longitudinal analysis of data. ANOVA and Student's t test were used for continuous data. Results: Plaque and Gingival score reductions were highly significant in intervention schools, and were not influenced by the socioeconomic status. When oral health knowledge was evaluated, highly significant changes were seen in intervention schools; more significantly in schools receiving more frequent interventions. 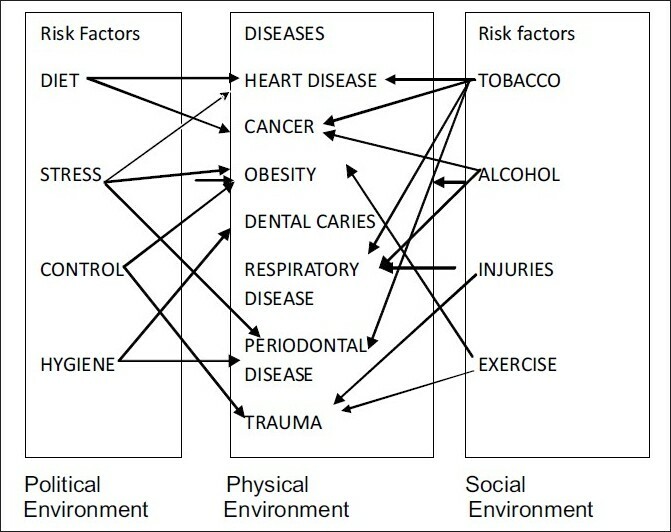 The socioeconomic status influenced the oral hygiene aids used and the frequency of change of toothbrush. Controls showed no significant changes throughout. 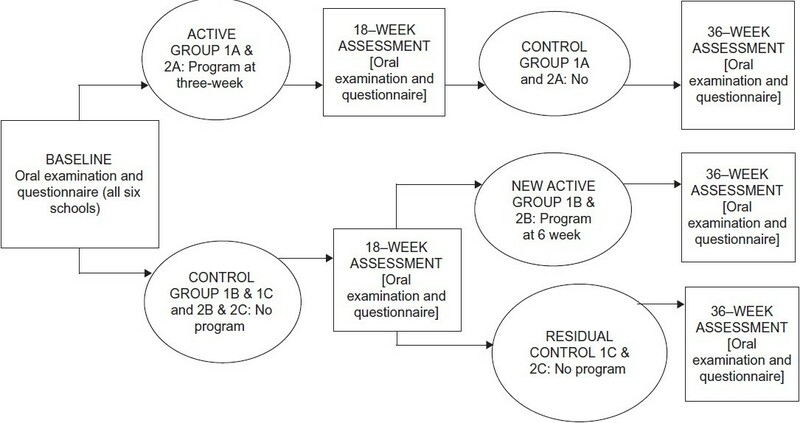 Conclusions: The DHE program conducted at three-week intervals was more effective than that conducted at six-week intervals in improving oral health knowledge, practices, oral hygiene status, and gingival health of schoolchildren. Objectives : Angiogenesis is a complex event mediated by angiogenic factors released from cancer cells and immune cells. It has been reported to be associated with progression, aggressiveness and metastases of various malignant tumors including oral squamous cell carcinoma (OSCC). Similarly, mast cells have also been reported to play a role in tumor progression and metastases by promoting angiogenesis. The present study aims at comparison of microvascular density (MVD) and mast cell density (MCD) in normal oral mucosa (NM) and among various grades of OSCC. Materials and Methods : MVD was assessed immunohistochemically using anti-Factor VIII related von Willebrand factor, and MCD using anti-mast cell tryptase in a study sample of 30 cases of OSCC and 10 cases of clinically normal oral mucosa. Results : The mast cells in normal oral mucosa and oral squamous cell carcinoma strongly expressed mast cell tryptase. The density of mast cells and micro vessels were significantly higher in OSCC compared to normal oral mucosa. The MCD and MVD were higher in moderately differentiated OSCC than in well differentiated OSCC ( P > 0.05) and normal oral mucosa ( P < 0.05). Pearson's correlation revealed a positive correlation between MCD and MVD ( r=0.33; P=0.077). Conclusion : These findings indicate that mast cells may play a role in up regulation of tumor angiogenesis in OSCC probably through mast cell tryptase. Context: Caries epidemiological studies based on clinical examination alone tend to underestimate proximal caries. Aims: This study aims to determine the additional value of radiographic examination (bitewings) compared to clinical examination in assessing posterior proximal caries. It also aims to determine the radiographic multiplication /adjusting / correction factors by which a clinical decayed surface (D-S) and decayed-missing-filled surfaces (DMFS) score could be multiplied, to obtain an actual D-S and DMFS score Materials and Methods: Two groups of 100 subjects each, in the age range of 16-20 years, were examined clinically for caries and their DMFS index recorded. Both groups were subjected to bitewing radiographs to detect the clinically undiagnosed posterior proximal caries. The radiographic adjusting factors were determined for group A. To check its repeatability and thus its usefulness, radiographic correction factor was determined for Group B. Statistical Analysis: The results were statistically analyzed with the use of means, standard deviations, regression equation and "Z" test. Level of significance was determined at P > 0.05. 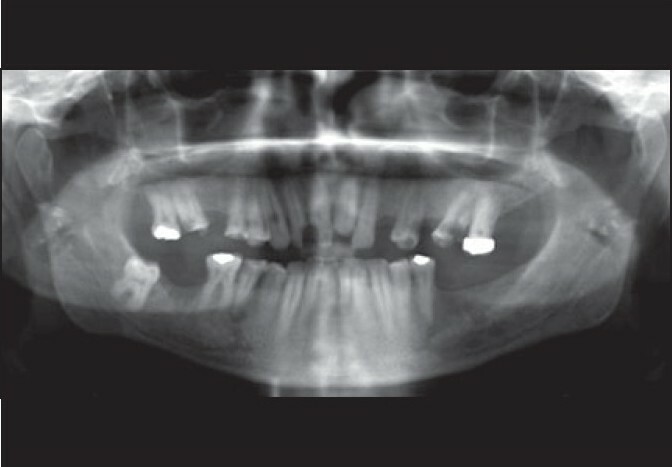 Results: A significant number of clinically undetected proximal caries was diagnosed with the help of bitewing radiographs. The difference between the radiographic adjusting/correction factor for D-S and DMFS score for the two groups was statistically not significant (P > 0.05) thus verifying the repeatability of the radiographic correction factors. Conclusion: The radiographic correction factors can be used to obtain a more precise estimate of true caries prevalence in a particular study population without having to subject all individuals to radiographic examination. In oral cavity, the spectrum of diseases due to genetic alterations ranges from developmental disturbances of teeth to the pre-cancerous and cancerous lesions. Of late, significant progress has been made in the molecular analysis of tumors. With molecular genetic testing emerging as diagnostic, prognostic, and therapeutic approach, a review of genetic alterations ranging from the development of oro-facial structures to the tumors in the head and neck region are addressed in this article. The functional regulatory aspect of genes in relation to oro-facial structures are discussed separately, i.e., in relation to tooth genesis, tooth agenesis (non-syndromic, syndromic), tooth structural alterations, syndromic oro-facial defects, bone diseases, skin diseases (genodermatoses), and malignant tumors. In this literature, various genes involved in the development of the oro-facial structures and tooth in particular are discussed. The genetic basis of disorders in the tooth development (agenesis, hypodontia), tooth structural defects like amelogenesis imperfecta (AI), dentinogenesis imperfecta (DI), and oro-facial structural alterations (various syndromes) are explained. Various types of metallic orthodontic appliances are used in the management of malocclusion. These appliances are placed in oral environnent under many stresses and variations such as masticatory forces, appliance loading, temperature fluctuations, varieties of ingested food and saliva. These metals undergo electrochemical reactions with the oral environment resulting in dissolution or formation of chemical compounds. Various microorganisms and many aggressive ions containing oral environment can cause material degradation (corrosion) and its associated problems during long time exposure. Orthodontic alloys must have excellent corrosion resistance to the oral environment, which is highly important for biocompatibility as well as for orthodontic appliance durability. 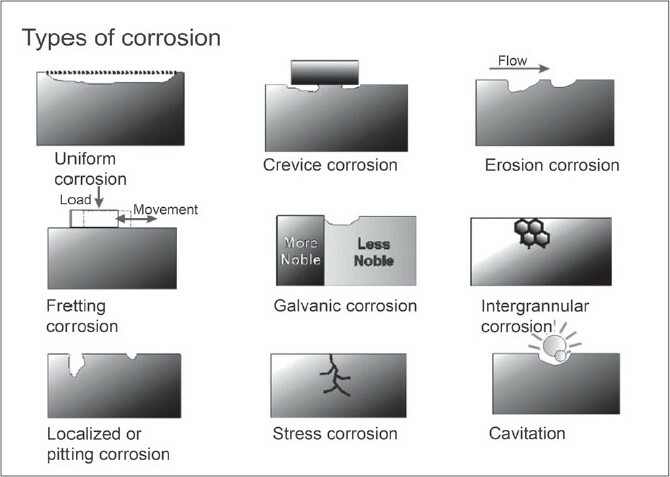 This article reviews various aspects of corrosion (surface degradation) of orthodontic alloys. It explores the emerging research strategies for probing the biocompatibility of materials. During orthodontic treatment, use of nickel free, better corrosion resistance alloys and less use of fluoride containing toothpaste or gel is expected. Mechanical removal of the biofilm and adjunctive use of antibacterial disinfectants or various antibiotics have been conventional methods of the periodontitis therapy. There has been an upsurge of bacterial strains becoming resistant due to the injudicious use of antibiotics, recently. As a result there is pronounced interest and keenness in the development of alternate antimicrobial concepts. As the scientific community seeks alternatives to antibiotic treatment, periodontal researchers have found that photodynamic therapy (PDT) is advantageous to suppress anaerobic bacteria. Hence, PDT could be an alternative to conventional periodontal therapeutic methods. This review elucidates the evolution and use of photo dynamic therapy. The application of photosensitizing dyes and their excitation by visible light enables effective killing of periodontopathogens. Even though PDT is still in the experimental stages of development and testing, the method may be an adjunct to conventional antibacterial measures in periodontology. PDT application has an adjunctive benefit besides mechanical treatment at sites with difficult access. Necessity for flap operations may be reduced, patient comfort may increase and treatment time decrease. Clinical follow-up studies are needed to confirm the efficacy of the procedure. Congenital epulis of the newborn is a very rare and unique tumor first described in 1871 by Neuman. It has a female predilection. It is a tumor with no tendency to recur after excision. The histogenesis of the lesion is unknown, but it is believed to be of mesenchymal origin. 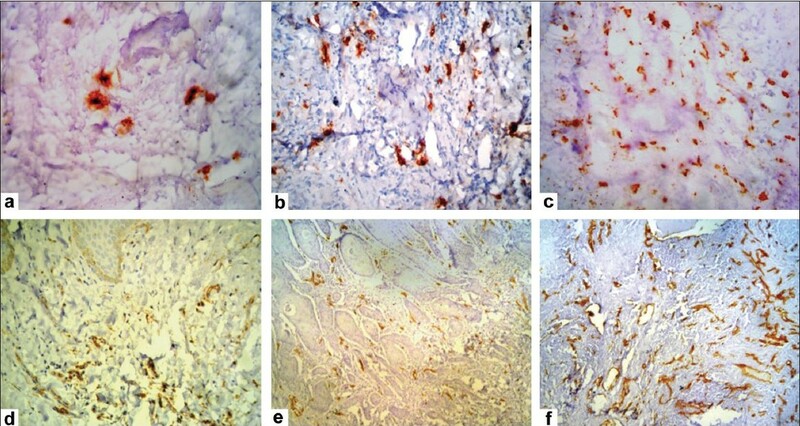 We report a 2-day-old female with tumor mass on the anterior mandibular alveolar ridge, which demonstrated immunoreactivity for vimentin, S-100 and neuron-specific enolase; thus, suggesting a similar histogenesis with granular cell tumor. Fibrosarcoma has been defined as a malignant tumor of the fibroblasts that shows no other evidence of cellular differentiation and is capable of recurrence and metastasis. Fibrosarcomas are rare but may occur anywhere in the body, most commonly in the retroperitoneum, thigh, knee and distal extremities. Fibrosarcoma is uncommon in the head and neck region and constitutes about 1% of all the malignancies affecting the human race. Of all the fibrosarcomas occurring in humans, only 0.05% occurs in the head and neck region. Of this, almost 23% is seen in the oral cavity. Fibosarcomas generally have a poor prognosis and the overall survival rate is 20-35% over a period of 5 years. 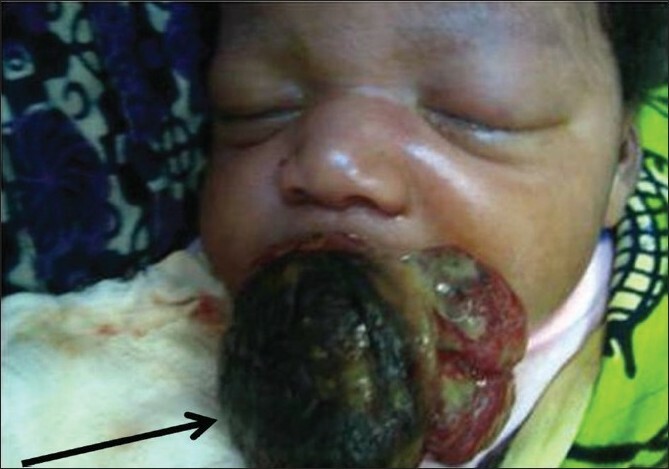 The formation of hypertrophic scars is common following healing of the burn wound, particularly in children. The face is one of the areas of the body most frequently affected by burns. 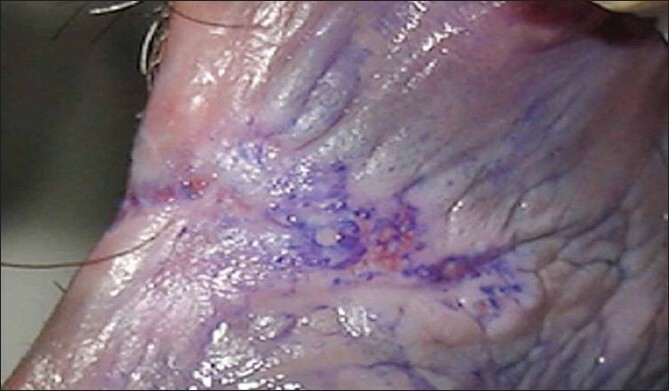 Scar formation as a result of burn wounds leads to contraction of the formed granulation tissue, which causes both aesthetic and functional impairment for the patient. Scarring has major psychological and physical repercussions. Scarring on the face and visible regions of the body can be very distressing for the patient. Prevention of scars involves early and continuous use of a compressive orthesis. However, their efficacy is often limited to the facial region because of the contours of this area of body. This paper describes a clinical case of post-burn hypertrophic scars treated with silicone gel sheeting applied with pressure under custom made auto-polymerizing resin stent. Primary mucosal malignant melanoma of the oral cavity is a rare tumor. It accounts for only 0.2-8% of all malignant melanomas. This malignancy commonly affects male subjects and is more frequently seen on the hard palate and maxillary gingiva. The peak age for diagnosis of oral melanoma is between 55 and 65 years. A biopsy is required to establish a diagnosis. Ablative surgery with tumor-free margins remains the treatment of choice. It has a much poorer prognosis than its counterpart on the skin. 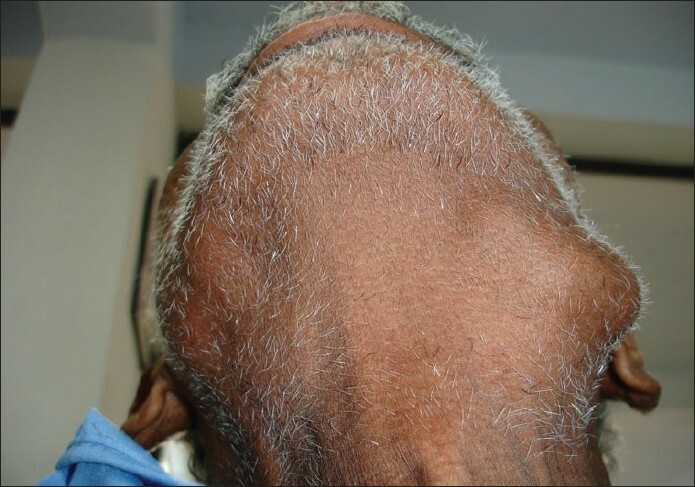 Here, we present a case of malignant melanoma of the mandibular lingual gingiva in a 55-year-old male patient. Immunohistochemistry and special stains were conducted for confirmatory diagnosis. Palatal radicular grooves are developmental anomalies of maxillary incisors, which contribute to localized periodontitis resulting in loss of anterior teeth. Palatal radicular grooves, when present, act as a site for plaque accumulation and periodontal infection. They are easily overlooked as etiologic factors, as these grooves are covered by periodontal tissues. The clinician has to be alert and check for variations in the anatomy of the tooth as a cause of pulp necrosis in the anterior segment of the tooth, when other causes are ruled out. Recognition of palatal radicular grooves is critical, especially because of its diagnostic complexity and the problems that may arise if it is not properly interpreted and treated. This case report describes the diagnosis and management of a maxillary lateral incisor with necrotic pulp and localized periodontal destruction, associated with a palatal radicular groove. 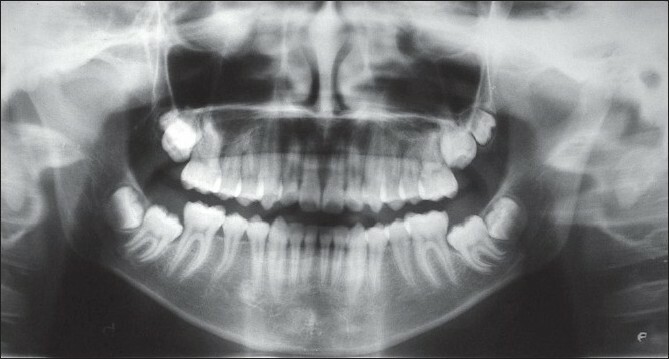 The frequency of simultaneously impacted second and third molars in teenagers is increasing and becoming a common occurrence in adolescent oral surgery practice. The traditional treatment is the removal of the third molar by conventional access but repositioning of the surgical flap to the distal face of the first molar can predispose to complications such as pericoronitis and delayed healing of the attached gingiva. We present a case in which we use the germectomy approach to remove the impacted third molar for the eruption of the second molar through a vestibular incision. This incision offers excellent bone exposure and exit route for the third molar without disturbing the gingiva attached architecture on the distal face of the first molar providing good healing environment. This article describes the immediate placement and loading of implants in the aesthetic zone using an implant-retained, fixed prosthesis with a modified design. One section of the implant prosthesis has cemented crowns and the other section is the conventional screw-retained. This combined approach significantly offsets the unsuitable implant position, alignment or angulation, while ensuring the easy retrievability, repair and maintenance of the prosthesis at the same time.